I’ve been chased inside by the rain, which soaked me through to the bone while I was gathering fruit in the orchard. I’ve never seen rain come down this hard! It felt wonderful, but even here in warm Hawai’i, it’s wintertime and I can’t stay wet for too long without getting a chill. So I’ve decided to write a post about some of the many things I’ve learned in the garden so far. In just over a week, I feel like I’ve gained enough knowledge to start my own successful garden, although this is just the beginning! The past few days we’ve been doing a lot of transplanting. Because there are lots of critters that love to eat veggie seeds and tiny sprouts, we start everything inside the shade house (like a greenhouse but with screen walls). Plants begin sprouting with seed leaves, which actually live inside the seed before it sprouts! Once the plants start forming their “true” leaves, we leave the plants outside for a day or two to harden off. During this time, the plant gets used to being out in much sunnier, windier, (and in the case of greenhouses, cooler) conditions, without being totally stressed by transplanting. We dig a hole and fill it up with the hose to allow water to sink deep into the surrounding ground before moving the plant in. Then we water it with seaweed: seaweed is a de-stresser for plants, it has a very balanced combination of nutrients that help keep the plant content in its new home. Then we mulch the plant with fresh compost for more slow-releasing nutrients and water retention. Voila! Well, I should be a little more exact here–there’s never just one plant. We always seed a few kinds of plants together: lettuce with carrots and dill, beans with sunflowers, tomatoes with basil. There are various reasons why some plants help each other grow (and others generally don’t do well together) such as what kinds of nutrients they take and what nutrients or hormones they send into the soil, whether they need shade or give it away, and whether they attract pollinators or repel certain pests. Seeds of Change has a good companion planting guide. 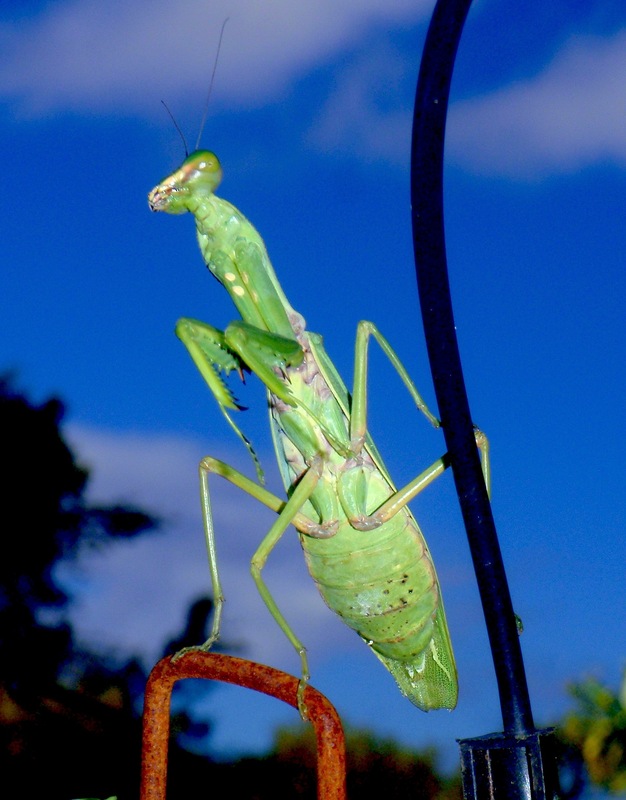 Speaking of unwanted garden residents, how do you deal with pests in an organic garden? I’ve learned that pests are usually a sign that the plants are stressed out, or weak from nutrient deficiencies. Using chemical fertilizers will create these imbalances as I mentioned before, as they are always made up of a mix of substances (as soon as you boost one, the others will be sent out of proportion), thus creating a need for pesticide. To avoid this, applying compost will help keep the plants strong–or applying specific organic matter can gently correct an imbalance, like the eggshells we scattered around the broccoli to boost the calcium. We’ve been brewing and spraying compost tea on the leaves of affected plants to give them a boost in warding off critters like spider mites–and we pull off the affected leaves to keep them from spreading. We harvest whole baby lettuce plants rather than cutting the leaves so the sow bugs don’t sense the broken tissue from cutting individual leaves. We’ll be stringing lights around the trellises to ward off the rose beetles that come out at night. And we enclose growing tomatoes in mesh bags to keep the fruit flies from stinging them. In short, there’s all kinds of creative things that can be done without spraying harmful pesticides. But what about weeds? Well, I must say I like Connie’s philosophy a lot: “weeds” (what I might call opportunistic species) actually play a role in the garden, by filling in where there are deficiencies. Other sources back up this perspective. Gardens can benefit from the nutrient release from weeds when you leave them where you pull them. If you don’t want to leave them in the garden, it’s safe to put them in a hot compost as it will kill the seeds. But perhaps most of all, it’s about weed prevention: mulching, sheet mulching, and cover cropping. Cover crops can aerate the soil and provide organic matter and nutrients to plants, even boosting yields. The garden beds here that were cover cropped are currently the best beds in the garden, and they’re the only ones with worms, which provide even more aeration and nutrients from their castings. One thing I’ve learned from Connie that fascinated the science geek in me is the effect of the plant container on water drainage. Contrary to what I would have thought, tall containers actually drain faster than short ones (or tall containers with rocks or styrofoam in the bottom). This happens because of the effect of gravity on water: the higher the volume of water, the heavier it is, and the greater the pull downward. If you’ve ever noticed why your little pots get algae on top, this is why. 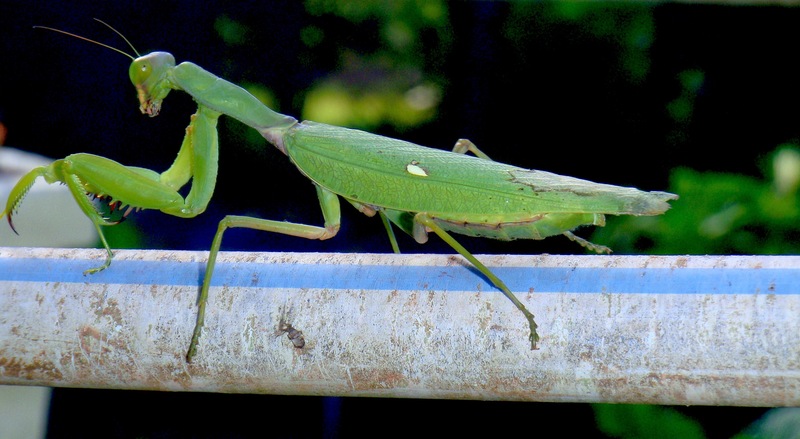 This is an incredible preying mantis that walked the tightrope (irrigation pipe) from one lettuce tower to the other. He moved so slowly, checking us out and cocking his head at our strange cameras. 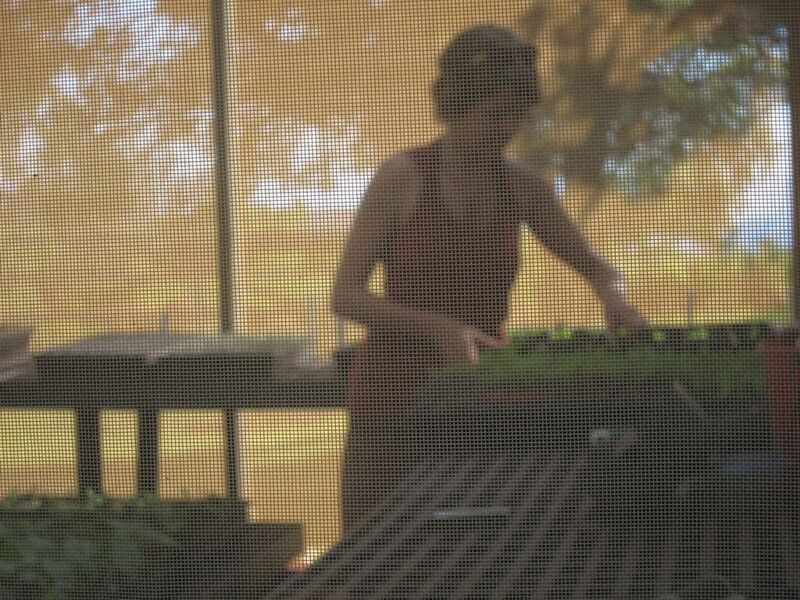 This is a photo of me through the screen in the shade house taken by one of the photography workshop guests! what do you want from your food? When I said in my last post that Molokai was sunny, I didn’t mention that the sun was dominated by endless sheets of rain and huge gusts of wind. Sure, it wasn’t what I was expecting (or anyone else here, for that matter) but I was so wrapped up in my scarf (and my coat and sweater.. it’s winter, remember!) and my excitement I didn’t care. It made it all the sweeter today to sweat in the brilliant sunshine. The past two mornings I’ve woken up before my alarm, so something must be going right. I spent yesterday harvesting an unbelievable amount of Swiss chard blown over by the storm. In hues of white, yellow, red and green, chard stands out for its beauty, its hardiness (except in tropical storms, apparently), its tastiness, and above all, its nutritional content. Chard is brimming with phytonutrients, over a dozen different antioxidants, and several other important vitamins and minerals. Doing a quick search of recipes for chard stems (any ideas? ), I learned that it has been rated second only to spinach as the world’s healthiest vegetable. Go chard! Last night, over locally caught Ahi tuna and beets I harvested that morning, I met the manager of the biodynamic ranch I mentioned in my last post. Jann is a wonderful woman who patiently answered my curious questions. She explained the myriad of challenges the ranch faces to keep up its organic certification. Upon prodding, she began explaining some of the principles and practices of biodynamic farming. She invited me to visit the ranch sometime to see the integrated approach in action, so stay tuned. Jann used to be a conventional farmer in the mainland US–the kind of farming with huge machinery, monocropped fields, chemical fertilizers, and Round-up galore that dominates the food system and wreaks havoc on the landscape, waterways, and ocean life. But wait.. is chemical fertilizer really all that bad? Isn’t “unsprayed” (no pesticides) good enough? Well, I learned from Connie that this is horribly untrue: she told me about news reports that farms are failing and farmers are getting sick due to exposure to heavy metals. Sure enough, the chemical fertilizers added to grow the food you buy contain toxic substances like arsenic and lead! 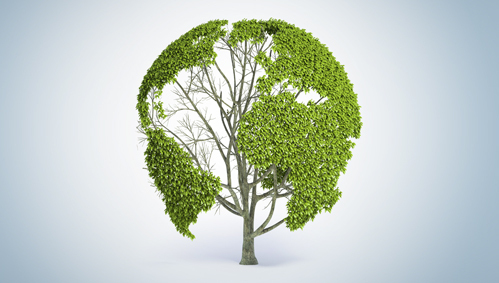 These are intentionally added as the “recycling program” for big industries with hazardous wastes, such as those from mining tailings ponds and steel mills! YUCK. Food sovereignty, anyone? On the bright side, we do have the power to grow our own, and…oh..is it satisfying. I spent hours today harvesting baby greens, tender sunflower sprouts, edible nasturtium flowers, and radishes so spicy they made my mouth burn. I also got versed in orchard duty. Sabine, the lovely German WWOOFer, showed me the ropes of harvesting lemons, limes, oranges, grapefruits, papayas, and my all-time favourite, avocado. I’m in heaven. In fact, every morning I’ve had the joy of walking past the avocado tree beside my home, slicing into a fresh Lilikoi (known to me previously as Passionfruit), and slurping up the sweet jelly and seeds for breakfast. The Lilikoi is everywhere. In fact, it’s invasive here, and the guys working on the Hui’s restoration project bemoan the plant. But it’s tolerated (and even actively planted) because, well, it’s just so damn good. It reminds me of the juicy Himalayan blackberries back home. Everybody likes you when you’re sweet. Welcome to my first post! Why am I writing this blog? Well, it’s not because there aren’t enough gardening blogs out there already with tons of useful information. In fact, if you’re looking for the hottest gardening tips, I’m sorry to report that you probably won’t find them here. Or you will, and they will be buried amid my musings as I try, fail, experiment, rejoice, and reflect on a new chapter of my journey–a journey into writing and a journey into growing my own food. Why me? Why now? Why the heck would anyone read this blog? 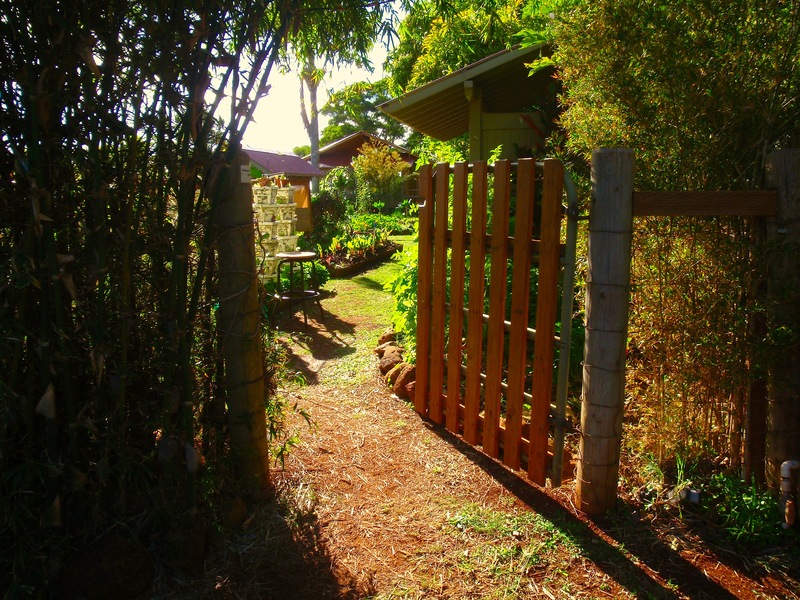 Well, for starters, maybe you’re a family member or a friend, and this is the best way to stay informed about what I’m up to as I embark on three months of learning organic gardening on the Hawaiian island of Molokai. Thanks for stopping by! But regardless of who joins me, I wanted to write about this experience anyway, and I’ve never gone more than a few days writing in a journal before I take a several-year hiatus. The more public I am about it, the more motivated I’ll be to actually sit down and write. That’s the hope, anyway. I really enjoy writing, and there’s so much going on in my head that never seems to make it out, so much thought-provoking info I come across that I want to pass on and never find a chance. So many creative activities that I take up, and then set down halfway through because I’m lured away by something new. Why should I succeed with writing this time? No, it’s not a New Year’s resolution–I carefully avoided that dead-end. With a creative writing class freshly under my belt and a thirst to keep the words flowing, a bit of long-needed spare time, and a strong desire to remember and to share the stuff I’ve learned and the places and people I’ve encountered here, I am more than set up to do this thing. My highest hope is to keep writing when I return home, creating a shared space for pass-on-worthy things–especially about food, leafy green things that grow, other sustainability-related stuff, epic things happening in the world–and my own ideas too. Here’s hoping!